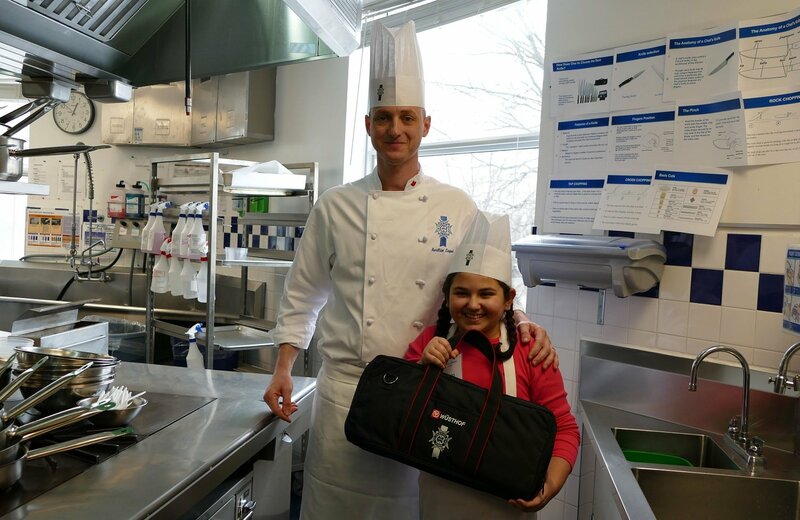 Meet Erica Bucciacchio Chopped Canada Junior winner who attended a private knife skills cooking class at our Le Cordon Bleu Ottawa campus last week with cuisine instructor, Chef Aurélien Legué. Erica demonstrated her skills in the kitchen as she practiced various chopping styles such as Julienne, Chiffonade, Jardiniere and Brunoise. Erica is a young chef with tremendous ambition and she certainty has a bright culinary future ahead of her. Born into the culinary world – Erica loved being in the kitchen, thanks to both of her grandmothers. We chatted with Erica about her experiences so far in the kitchen and what it was like being in a professional culinary arts school for the day. You want to be a pastry Chef in the future so what was it like trying your hand at knife skills for the day? Although pastry is my passion, I think the knife skills are something I will use my whole life. Also, I don't want to be limited to one specialty. I want to be known as an all around chef. What was your favorite technique Chef Aurélien shared with you, and why? My favourite technique that Chef Aurélien showed me was how to butcher a chicken. It is very practical and now I can say I know how to butcher a chicken. I usually just buy the cuts that I need at the grocery store, but now I can buy a whole chicken and the chef showed me ways to use it all. Not very much since I was at school, but I look forward to using my brand new knives. I want to get a bunch of vegetables and try the different knives and cut different shapes that I learnt. What is your favorite cuisine dish to make? I enjoy making classic steak and roasted potatoes, or chicken with my secret homemade barbeque sauce. It was a dream come true to be at the Le Cordon Bleu school. Many great chefs studied there so it was an honour for me. 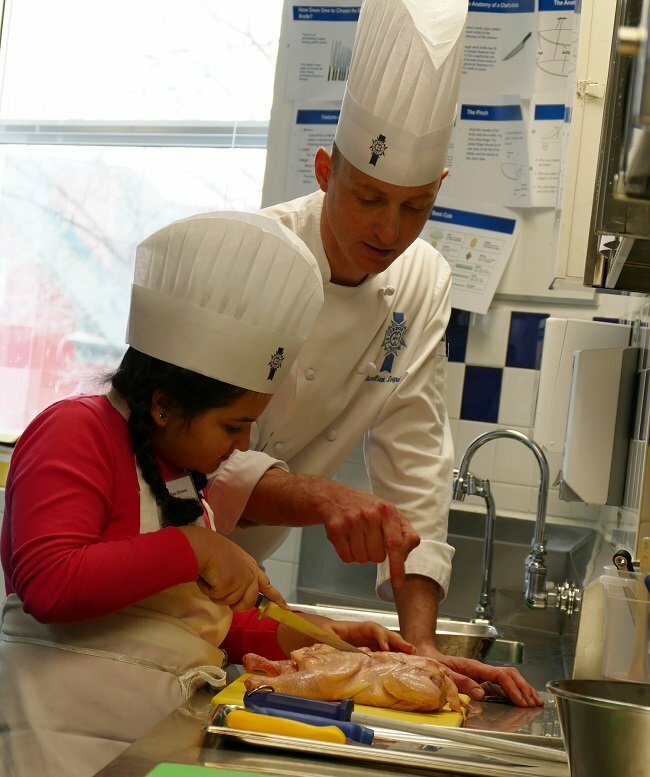 What was your overall experience of the course and Le Cordon Bleu Ottawa? I was a little bit nervous before my course because I never worked with a professional chef in a professional kitchen. I was afraid to make a mistake and embarrass myself. Chef Aurélien made me very comfortable and he was funny. He was very patient and made me understand. He answered all my questions. The knives were the best surprise ever! Thank you so much for the amazing experience! Hopefully I can work hard so that I can study at Le Cordon Bleu one day.